3rd July 2010 - Jon Hall, and 2 friends took part in this event so I spent a few hours chasing glimpses of them. My knowledge of the area helped me to be roughly in the right place a couple of times! All 3 completed the course. 2 long climbs of 9 km and 7 km and over 4,000 m of total ascent with some of the most spectacular sea views on offer. The longest route is 164 km (103 miles) in length and features 4,127meters (13,393 ft) of climbing making this one the hardest sportives in the UK. 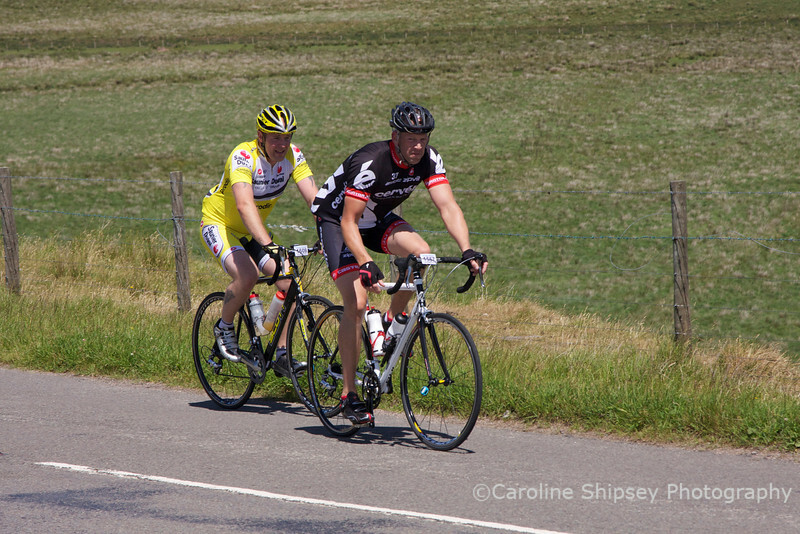 The Shorter 135 km (85 mile) route is still hard with lots of climbing.